Did you know that 70% of your immune system is in your digestive tract? That’s why it’s important not to think of digestion and immunity as two separate issues. What happens in your core is crucial to your overall health. 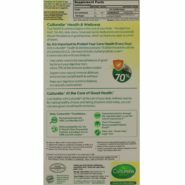 Optimal health starts in the core – with improved digestion and a stronger immune system – and Culturelle, an all-natural dietary supplement containing the probiotic Lactobacillus GG, can be an important step achieving yours. 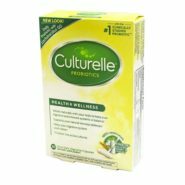 Culturelle is, in fact, the #1 pharmacist-recommended probiotic. Our success is in our science: Culturelle’s LGG is one of the most effective strains of good bacteria (or probiotic) at balancing out the causes of gas, bloating and stomach upset. And with better digestion, your immune system is stronger and ready to fend off bad bacteria.